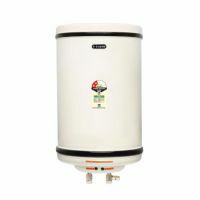 The V-Guard Steamer geyser water heater 15 Ltr Capacity. The powder coated mild steel outer body is corrosion resistant and shock proof as well. The inner tank is made of 304L Grade TATA/JINDAL stainless steel for lifelong performance. It is 3 Star rating and Penta Safety System. 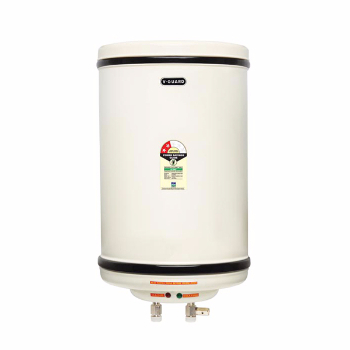 This water heater comes with Sacrificial anode for extra long life and ACC protection in inner tank. To Recieve updates and possible rewards for V-Guard Steamer 15L please sign in. To Recieve updates and possible rewards for Geyser/Water Heater please sign in.